R.U.G.S. is having our biennial Graduate School Panel! 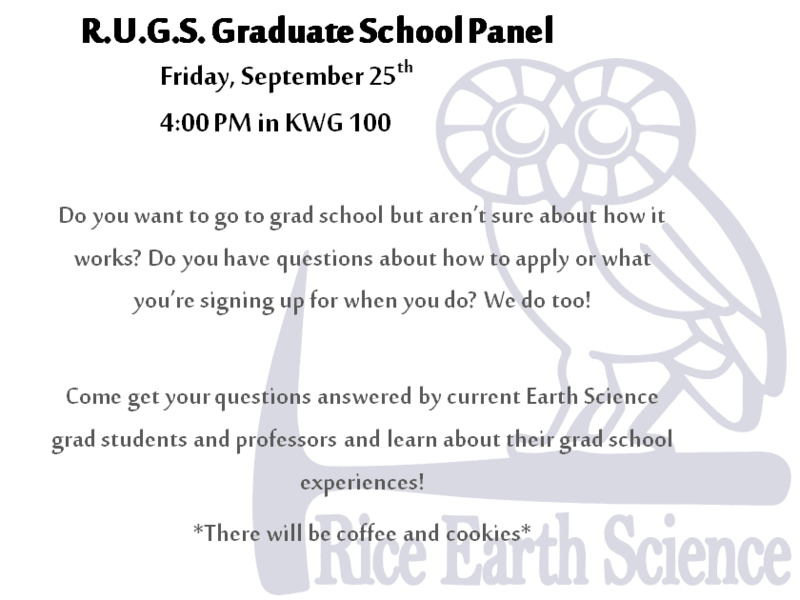 Come to KWG 100 at 4:00 PM on Friday, September 25th to learn about applying to grad schools, hear about some of our very own Rice grad students’ experiences, and eat cookies!